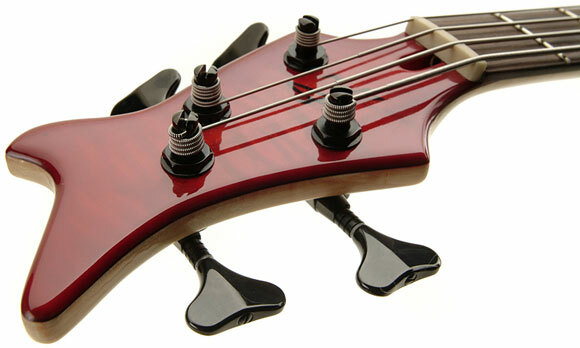 This photo shows a closeup of the tuner on a four-stringed bass. The strings are tuned to E, A, D, and G on a bass guitar with four strings. Bass guitars can be plugged into a guitar amplifier and complement electric guitars by providing rhythm for a musical selection.